The watch doesn’t work after changing the battery! Does your watch not keep proper time? Regardless what the problem is, our experienced watchmakers are here to investigate your watch movement, diagnose the problems and will be happy to give you their expert advice. 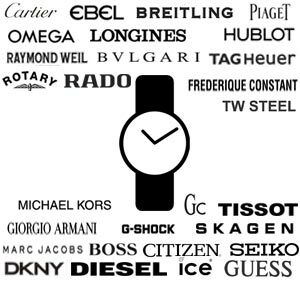 There are many different manufacturers and qualities of watch movements. There are watch movements which are not designed to be dismantled for repair purposes, especially those used for designer fashion brands and budget brands. So once they are damaged, they will have to be replaced with the same watch movement. On the other hand, there are also watch movements, which are repairable. However, it is often more appropriate and cost effective to replace the entire movement rather than repair the malfunctioning part. 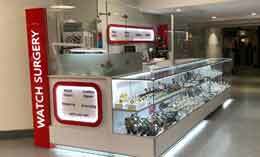 There are also Swiss made watch movements which are worthwhile repairing. Our expert watchmakers will advise how to proceed with repair after their initial investigations of the watch movement. 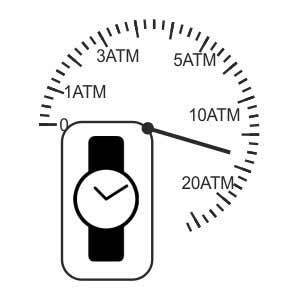 We keep most popular quartz watch movements in our stock so that we can offer watch movement replacement service in store while you wait when necessary. Less common movements have to be ordered from the suppliers and the lead time for delivery and repair is usually one week. The new watch movements come with a brand new Swiss battery. For your peace of mind, Watch Surgery gives one year guarantee for the replaced movement including the battery with your proof of purchase.